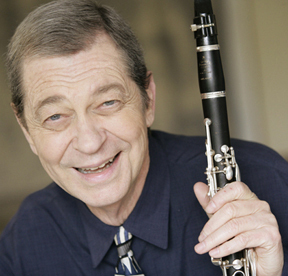 Gary Gray studied clarinet with Robert McGinnis and Henry Gulick, and chamber music with Janos Starker at Indiana University, where he he obtained his Master's degree in Woodwinds. He Also studied clarinet with Mitchell Lurie at the Music Academy of the West in Santa Barbara. He was Assistant Principal in the St. Louis Symphony and later won first prize in the San Francisco Symphony Foundation competition. Mr. Gray was formerly Principal Clarinetist of the Los Angeles Chamber Orchestra for the past 20 years and is now Faculty Artist / Clarinet Professor at the University of California at Los Angeles. 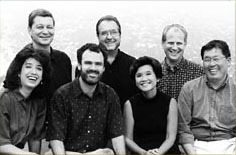 In March 2005, Gray received a promotion to Full Professor, advanced standing, from the UCLA Music Department, where he teaches clarinet and woodwind chamber music. Mr. Gray was a founding member of the Pacific Serenades, now in it's 23rd season and performed with them at Carnegie Hall in 1994. He has also concertized with the Tchaikovsky Trio in Belgium and at the Festival de Musique Française de Laon in France. 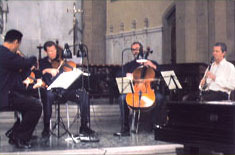 The Francesco Trio invited Mr. Gray to perform at UC Berkeley in 1996. His concert on the Los Angeles County Art Museum's Music Series in 1999 with Mark Kaplan/violin, Ronald Leonard/cello and Walter Ponce/piano included music of Beethoven, Ravel and Messiaen. His album of solo concerti, recorded with the Royal Philharmonic Orchestra was nominated for a Grammy Award in 1989 in the category of Best Soloist with Orchestra. This was only the second time in Grammy history that a clarinet album received such a nomination. The solo CD includes works of Copland, Rossini, Arnold and Lutoslawski. Mr. Gray's album of clarinet/piano music, was recorded in London with Clifford Benson, and includes works of Debussy, Saint-Saens, Martinu, Bernstein, Poulenc and Arnold; both CDs are available on the Centaur label. Ned Rorem's Double Concerto for violin/clarinet title "Water Music" was recorded for BMG Records by Margaret Batjer, concertmaster of the Los Angeles Chamber Orchestra, and Mr. Gray in 1999. This CD, Brian Asawa - More Than a Day ~ Music of Ned Rorem, was conducted by LACO's Music Director, Jeffrey Kahane, and was released in 2000. 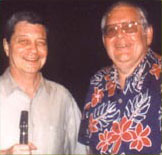 During the summer of 2000 Mr. Gray was invited to perform with Chamber Music Northwest in Portland, Oregon, where he shared the clarinet duties with its director, David Shifrin. His performance at the Sedona Chamber Music Festival in 2002 with the New Hollywood String Quartet has lead to concerts with them which took place in the fall of 2003. Gary Gray grew up in Indianapolis, where his mother's family, and particularly his Uncle Carl (who also played clarinet and saxophone), were music lovers, and his paternal grandfather was a professional jazz guitarist. His first clarinet was a gift from a friend at age 11 (a Penzel-Mueller); and the first orchestra concerts he attended by the Indianapolis Symphony and his father's recordings of Benny Goodman and Buddy DeFranco all had a great influence on Gray as a young player. While studying clarinet with Rosemary Lang for four years (through Butler University) during his high school years, he also attended Interlochen during the summers of his junior and senior years, where he studied with Keith Stein. During these high school years in Indianapolis, he also gained experience playing saxophone in local dance bands and jazz groups. He then attended nearby Indiana University in Bloomington during the late '50s and early '60s where he earned both a B.M. and M.M. in woodwinds. While there he studied clarinet with Henry Gulick whom he calls a "master teacher and refined player...always supportive and sympathetic...a real gentleman." At I.U. he also studied with Robert McGinnis, former principal clarinet of the the New York Philharmonic, whom he called "a tough, not overly sympathetic teacher, who made me more resolute, and I am also grateful to him. Whenever I need special control and disciplined technique, I remember his training, and I try to pass that on to my own students." Other important influences include Louis Cahuzac, "especially his recordings of the Mozart and Nielsen concertos and his liquid tone." Gray also got to know Reginald Kell during his many summers at the Aspen Festival and was always impressed with him as "a gentleman with good musical taste and strong convictions." Gray commented that he also remembers Kell coming to hear him play the Mozart Concerto with the San Francisco Symphony and for his gracious comments afterwards. A reviewer with the San Francisco chronicle was moved to write about this performance that "Clarinetist Gray is a musician right to the heart." After completing his two degrees at I.U., Gray served as bass clarinet and assistant principal clarinet in the Kansas City Philharmonic in 1963-1964, followed by the same position in the Saint Louis Symphony from 1964-1966. During the summer of 1960 he had also studied with Mitchell Lurie at the Music Academy of the West in Santa Barbara and this proved to be an experience and relationship that would later open up new career opportunities since "his [Lurie's] lifestyle fascinated me because he did studio work and taught and also played in small orchestras. When I moved to Los Angeles seven years later, I looked Mitchell up and he continues to be an important mentor and friend. When Mitchell moved from teaching at UCLA to a full-time position at USC in the early '70s, I was promoted from UCLA teaching assistant to the clarinet position there. Mitchell, bassoonist Norman Herzberg and I performed chamber music together in the late '60s and early '70s." A 1968 performance that proved to be a career catalyst was Gray's winning of the prestigious Frank Sinatra Award for musical performance. He played the Debussy Premiere Rhapsody, Schubert's Der Hirt auf dem Felsen and two jazz works on saxophone, all from memory. ("I was obviously young and foolish," Gray remembers.) The classical judge was Zubin Mehta, then the conductor of the Los Angeles Philharmonic. 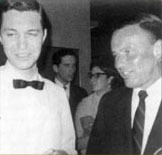 Frank Sinatra personally presented the first prize of $2,000, and he was obviously impressed enough with Gray's playing that he called the contractor at Warner Bros. and told him, "Hire this kid." This lead to Gray's first movie recording session, for Bonnie & Clyde, which in turn helped lead to the numerous movie scores he has played on during the last 30-odd years. Some most recent scores include Matrix I, II and III by Don Davis, Finding Nemo by Thomas Newman, Bringing Down the House by Lalo Schifrin, Bruce Almighty by John Debney, Legally Blande I and II by Rolfe Kent, Hollywood Homicide by Alex Wurman as well as the HBO films Angels in American by Tom Newman and Pancho Villa by George Del Barrio. His break into television recording came when Frank DeVol heard him play Fiddler on the Roof at the Los Angeles Music Center. "I had some nice clarinet solos and suddenly the next week, I was called to play the TV show 'My Three Sons.'" The tuneful saxophone theme song from this show was first recorded by saxophonist Phil Sobel, but in later seasons Gray is heard as the saxophonist as well as the clarinet player from the second season on. Gray has recorded numerous TV series during his career and can be heard most recently on many episodes of the series "Jag," music by Steve Bramson. For the fall 2001 season he recorded for the series "100 Centre Street" (music composed by his UCLA colleague Paul Chihara) and "The Simpsons" show with it's composer Alf Clausen. Gray's affiliation with the Los Angeles Chamber Orchestra goes back to its founding in 1969 when he and Mitchell Lurie were the clarinet section. In 1989 Gray became the principal clarinet, a position he held until the 2007-2008 season. His solo appearances with the orchestra have included the Lutoslawski Dance Preludes, Copland Concerto and the Strauss Duet-Concertino. 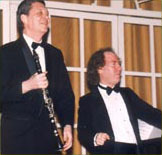 Gray enjoyed his musical collaboration with Jeffrey Kahane, the orchestra's conductor, because of his "superb musicianship and inventive programming." 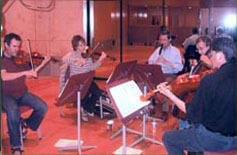 During the 2001-2002 season, the orchestra toured the East Coast, including a concert in Carnegie Hall that April. "Principal Clarinetist Gary Gray took charge on the Mozart Concerto and this composition gave Gray the opportunity to display the tremendous range of expression that Mozart required." From 1963 until 1984 he was a Faculty Artist at the Aspen Music Festival where he played in the Aspen Festival Orchestra, directed the Jazz Ensemble, taught clarinet and took part in chamber music concerts. He has been active in chamber music throughout his career, including performances with the Tchaikovsky Trio in Belgium and at the Festival de Musique Française de Laon in France, and during the 1980s he performed regularly with The Bravura Trio, comprised of Brooks Smith, pianist, and Milton Thomas, violist. a Los Angeles ensemble comprised of a nucleus of clarinet, flute, string quartet and piano, with composer/flutist mark Carlson serving as Artistic Director. Pacific Serenades presents a series of four concerts a year and each one includes the premiere of a new work commissioned by the ensemble. Also, each concert is repeated three times: first in a private home, then at the Neighborhood Church in Pasadena and finally at the UCLA Faculty Center. By the end of its 15th season, the ensemble had presented premieres of more han 60 new works — by 27 different composers, more than any other group of its kind in the country. During his career Gary Gray has collaborated with such artists as Itzak Perlman, Mischa Dichter, James Levine, Aaron Copland, Elliot Carter, Benjamin Britten, Malcolm Arnold, Pierre Boulez, Igor Stravinsky and the Cleveland and Angeles quartets. 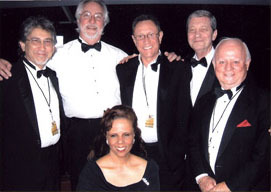 In February 2008, Gray was the clarinetist for the 50th Anniversary Grammy Awards Orchestra. Jazz great Herbie Hancock and classical phenom Lang Lang played a two-piano version of Gershwin's "Rhapsody in Blue" with Gary Gray as the opening clarinet solo. To watch the performance from this site, please click here. The orchestra also performed "The Prayer" with Herbie Hancock and Lang Lang, as well as the Two Tenors, Josh Groban and Andrea Bocelli. Gray's musical tastes and skills are wide ranging. He has vast experience as a jazz musician and mentions Paul Desmond, Charlie Parker and Stan Getz as big influences. Needless to say, this versatility and ability to play saxophone and other woodwinds in various styles opened up more playing possibilities as a freelance musician. He has performed and/or toured with with big bands of Al Cobine, David Baker, Claude Thornhill, Nelson Riddle and Clare Fischer, among others.